With link-free original WIESE rubber chains, WIESE continuous bucket and pendulum bucket conveyors have proven themselves in the non-food area. Even abrasive materials and those causing wear can be conveyed with ease. The conveyed goods are fred carefully and not scooped, minimising the stress on the materials and also the wear on the buckets. 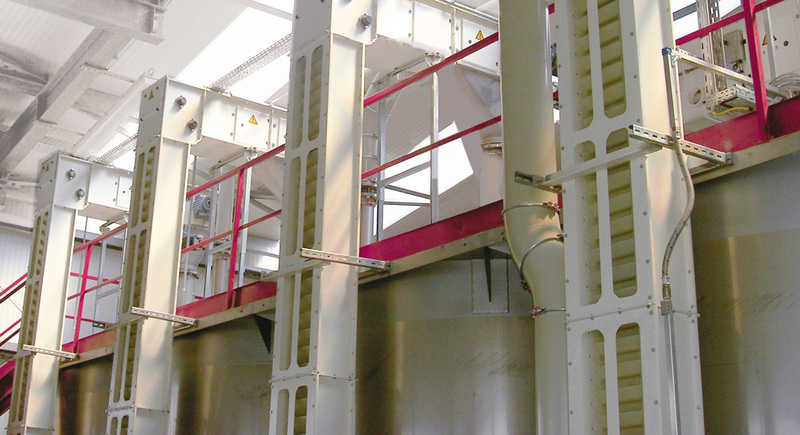 For systems at risk of dust explosions, WIESE continuous bucket and pendulum bucket conveyors are also available with ATEX certification.